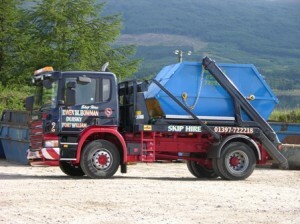 We provide a wide range of skips and Ro-Ro boxes for all your waste management requirements. Open, closed, Rear End Loaders (RELs) and drop door skips available in sizes from 8 cubic yards to 40 cubic yards. One day and weekend hires are available at reduced rates in some areas. Our skips can be utilized to deliver materials to your site whether it be from our recycling facility or one of the local quarries. Wait & Load Service – Our truck can wait for 1 hour at your site (geographical restrictions may apply) whilst you load the skip. Ideal for householders or sites where space is limited. Asbestos – We can provide skips for bonded asbestos disposal.